Access all 500 biblical names for God using the menu below. Click on the appropriate entry and a page listing all the names for God under that entry will appear. Finally, click on the desired name and a new page with details of that name will appear. For instance, if you want information about the “Everlasting God,” click on “God” below and a list of all names that include the word “God” will appear. Information about several of the best-known Hebrew names for God can be located in a similar way under Jehovah/Yahweh (e.g. Jehovah jireh). Some names will be found in a list on the “Miscellaneous” page. How can anyone produce a catalog of the Biblical names for God? The Bible provides no neat list of names for God and lists are about as lovable as a telephone directory. God is a living being and, like any personality, He is too complex to compartmentalize; He is integrated and dynamic. We can’t dissect His characteristics and expect Him to remain God. God wants us to pursue relationship with Him, as He really is— a personality with a multifaceted character. Understanding the names of God helps us to relate to Him as the dynamic being that He is because every name of God expresses some aspect of the attributes of God. Use this website as a reference but, above all, pursue relationship with the God behind the names. Strictly speaking, there are only two true names for God—the personal names, Yahweh (Jehovah) and Jesus (Yeshua). Most of the five hundred divine “names” in the Bible are really titles. However, it is simpler to call the titles of God “names,” which is what the Bible does. This website provides information about the full spectrum of all the names of God in the Bible (Father, Son, and Holy Spirit). The New American Standard Bible (NASB) is the selected version, though many important alternatives are noted. 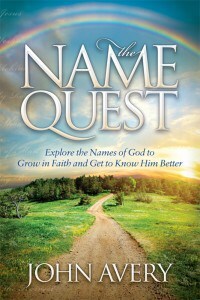 It includes the most inspirational Bible verses that mention the names of the Lord. Hebrew transliterations follow the Society of Biblical Literature Handbook of Style (General–Purpose Style), though some are representative of several variations in different Bible verses. Corrections and comments based on those standards are welcome. Most Scripture taken from the following sources: The NEW AMERICAN STANDARD BIBLE®, Copyright © 1960,1962,1963,1968,1971,1972,1973,1975,1977,1995 by The Lockman Foundation. Used by permission.